Concorde - 2 year old £15.75 - Pears and Quince Apple Trees and Fruit Trees For Sale. Buy at competitive prices with wholesale discounts. 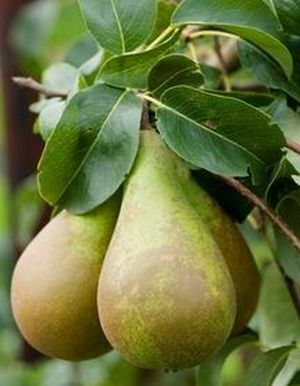 Concorde is a very good new variety bred from two of the most popular old European pears, Conference and Comice. It is a very good choice for growing in the U.K as it will produce reliable crops in often less than ideal British summers! It has good natural disease resistance, making it an excellent choice for organic growers.